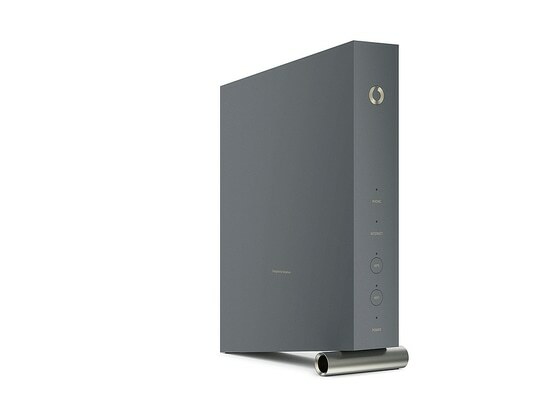 The Vodafone Cable Router is designed as a monolithic body with reservedly integrated LED displays. It is characterised by the metallic foot in the form of a roll at the front. Due to this structure taken from furniture design, the router with cable connection harmonises optically well also in the centre of a household, in order to attain the best possible Wi-Fi coverage. The vertical alignment of the device saves space and uses the chimney effect, so that ventilation equipment is not required. 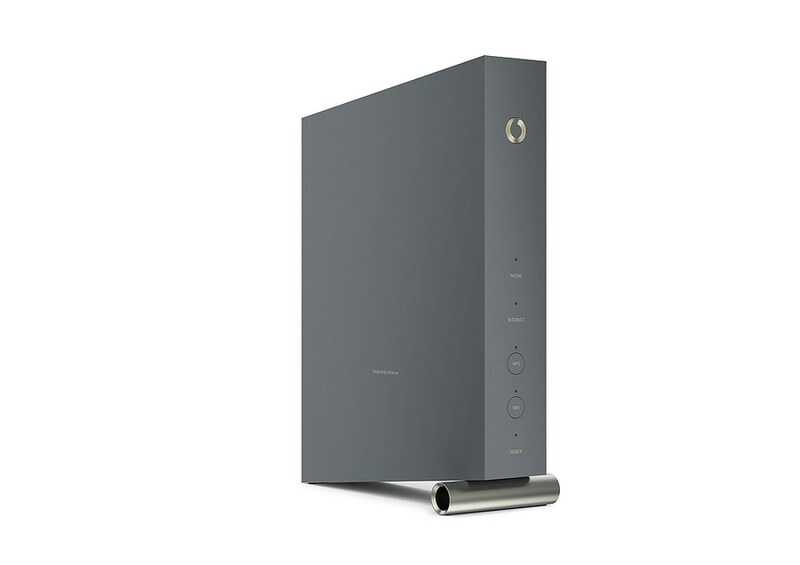 The successful aesthetics of the Vodafone Cable Router are convincing – for one thing it is eye-catching, and yet radiates peace and harmony.